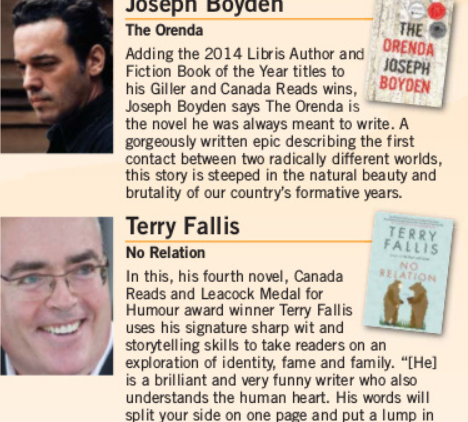 At SGI Caledon Centre readings by top Canadian Authors Joseph Boyden (The Orenda), Terry Fallis (No Relation) and Eve Stachniak (Empress of the Night). Moderated by Headwaters author Nicola Ross. Tickets $30 incl. 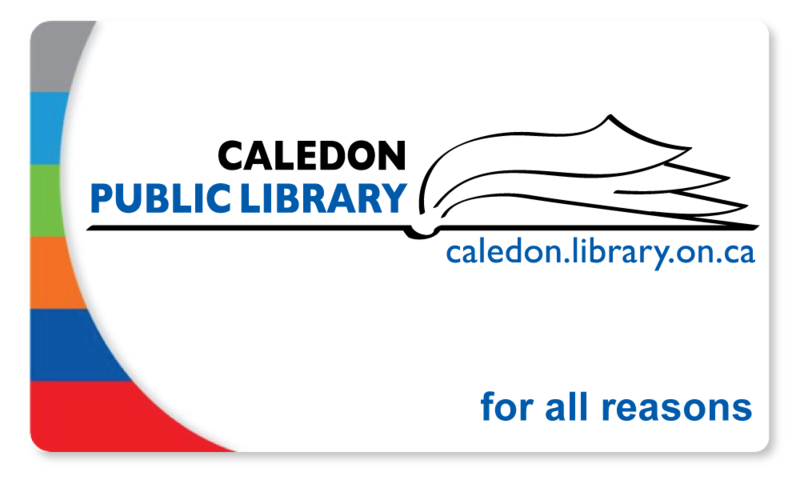 HST available in advance at Booklore on 121 First Street in Orangeville or online – don’t delay. September 26th from 7 to 10pm. 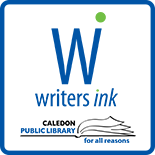 The writers’ panel, ably moderated by Caledon adventuress and writer, Nicola Ross, delighted a full house of Can Lit enthusiasts that included some Alton Chapter members. Joseph Boyden read from ‘The Orenda’, his dark account of Woodland Indian life at the dawn of European settlement around the Great Lakes. His lively wit and intelligence was in top gear. Eve Stachniak read in her beautifully modulated voice a piece from her second story taken from the life of Russian Empress Catherine the Great. Terry Fallis amused us with a droll interlude from his latest novel ‘No Relation’ about the misadventures of a copywriter with the unfortunate name of Earnest Hemmingway. The interplay that followed between the authors around questions posed by the moderator or audience members was witty, and nicely illuminated the differing creative agendas that each utilize. Judging by their response the audience loved it all. Congratulations to Nancy Frater of Booklore on once again organizing an excellent entertainment for us reader and writer types, and for 20 years of service to the Headwaters reading community through her independent Orangeville bookstore. Our gratitude to the SGI Caledon Centre as host for providing a setting of great charm and beauty on a fine Fall evening. This entry was posted on September 6, 2014 by Alton Chapter in Writer's Ink News and tagged arts festival, author readings, headwaters arts, writers' festival.